Cottage on a property of 3 hectares with trees and gardens. It has a large living room with fireplace and outdoor barbecue area. two bedrooms and two bathrooms. Summer terraces and outdoor patio. Aparcamierntos. Disabled access. Full kitchen. A 3 minutes from Arcos Gardens Golf Course. A 1 minute of rural store bakery and food commodities. A lovely home, photos don’t do it justice. We stayed here during a rainy spell in early April, so didn’t get to enjoy much of the many garden areas. House is very well equipped and the owner Joaquin was very welcoming. We did have a problem with the electricity the first night we were there. Flashlights and candles with holders would be a good addition. Joaquin responded to all our concerns. We enjoyed being out in the country, within easy driving distance to the Pueblos Blancos. Fabulous finca spotlessly clean larger than we expected which was a bonus so relaxing . We have just returned from our stay at Finca Macharnudo it was amazing, perfect location for visiting Andalusia. You do need a car to get around only 10 min drive to beautiful Arcos de la frontera. We visited Cadiz and Jerez and also used the excellent train service to Seville only an hour away. The facilities in the finca were the best we have ever experienced and the gardens extensive with seating areas to relax.Jocquin was at the property to welcome us and was only a phone call away if we needed anything. A book in the property would be useful recommending local places to visit names of restaurants and also emergency telephone numbers which maybe visitors could add their recommended places as well. Perhaps a visitors book where guests could give their views on local amenities i.e. where to go and recommended restaurants etc would be helpful. Lovely house - the dogs loved the space outside. THIS IS A CLEAN SPACIOUS WELL EQUIPED COUNTRY HOME LOCATED ON 3 ACRES OF LAND A FEW KILOMETRES OUTSIDE OF ARCOS. NOT HARD TO FIND. THE OWNER/HOST IS VERY GRACIOUS AND HELPFUL. This really is a beautiful, well-kept and well-eqipped holiday home. Our host, Joaquin, went out of his way to welcome us and to ensure that we had a comfortable stay - he even brought us some home-made almond biscuits mid-week! We couldn't have wished for more. We can highly recommend this property and hope to return ourselves one day. The house remained very clean, as if nobody had stayed. With persons like this, is pleasent to open home to others. It would be very difficult to find any faults with this property or its owner. It was as advertised, clean, well maintained and extremely well provided. The house is surrounded by quiet shaded patios and a forest of Mediterranean bushes and trees, all planted by the owner and providing us with a variety of fruit. Joaquin was very knowledgeable, friendly and hospitable and he and his wife went out of their way to make our stay enjoyable. They even had Wi Fi installed for our use while we were there. Arcos itself is an active town of the region and has many good restaurants and shops. 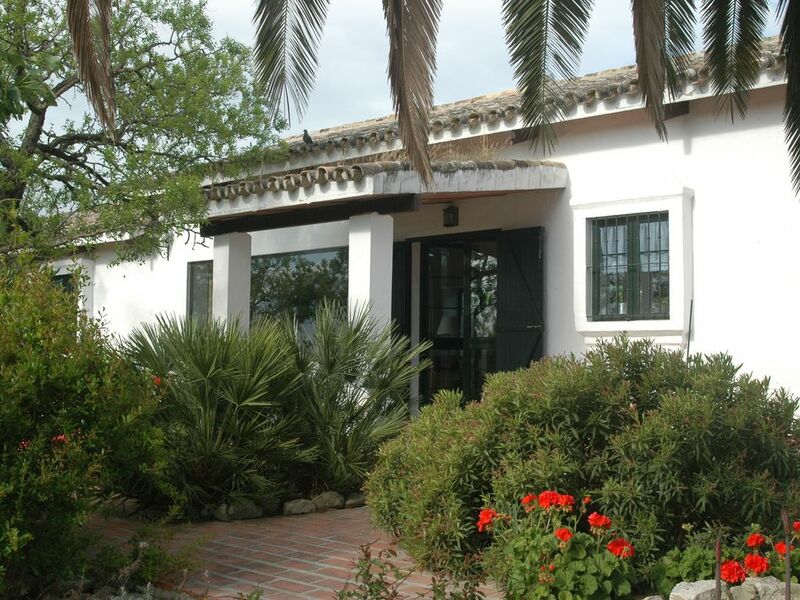 The house is ideally located for visiting all the larger centres in south west Andalucía. We strongly recommend this property as an ideal holiday home.